The Sleeper. Looping. Around The World. If you are familiar with those terms, then you likely know that today, June 6th, is National Yo-Yo Day! How do WE know? Our Haymeadow Calendar, of course! We admit, this gives us something fun and nostalgic to share with everyone, and who knows, maybe after reading this you&apos;ll dig through some boxes to drag out your old yo-yo for a little "walking the dog". Let&apos;s start with the history of the yo-yo. 500 B.C. 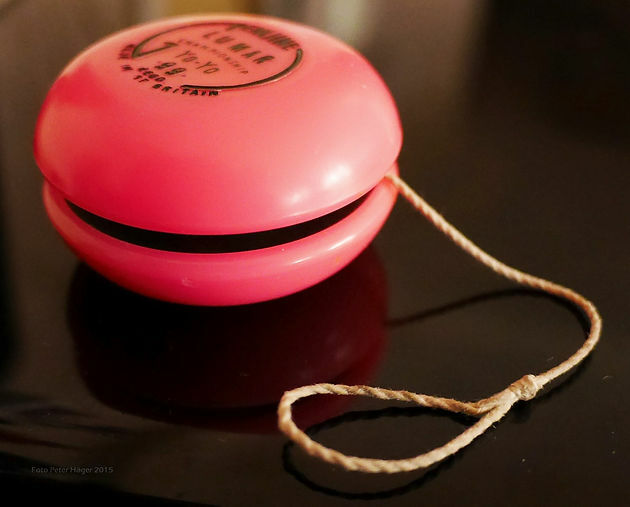 Even though first historical mentions of the yo-yo go back to Greece in 500 B.C., it is assumed that the yo-yo was actually a Chinese invention. Since then, the yo-yo has been used as a weapon, stress reliever, toy, and of course, multi-million dollar industry! Now if that name sounds familiar to you, it should! Duncan Yo-Yos are arguably the #1 yo-yo in the world! We&apos;d even bet, that if you DO own a yo-yo, it&apos;s probably a Duncan! So celebrate National Yo-Yo Day! Go find that yo-yo you had as a kid, head outside in the fresh air and take a trip "Around The World" or go "Walk the Dog", maybe "Shoot The Moon" later.Yo-yo&apos;ing just might improve hand-eye coordination, and at the least, will relax you for a bit.Thanks, as always, for reading (and sharing? )!